Even with funny-men Vaughn and James, this "comedy" lacks laughs. The misleading marketing campaign for Ron Howard’s latest film suggests an irreverent jokefest, when in fact it comes closer---though not close enough---to working as a relationship drama. 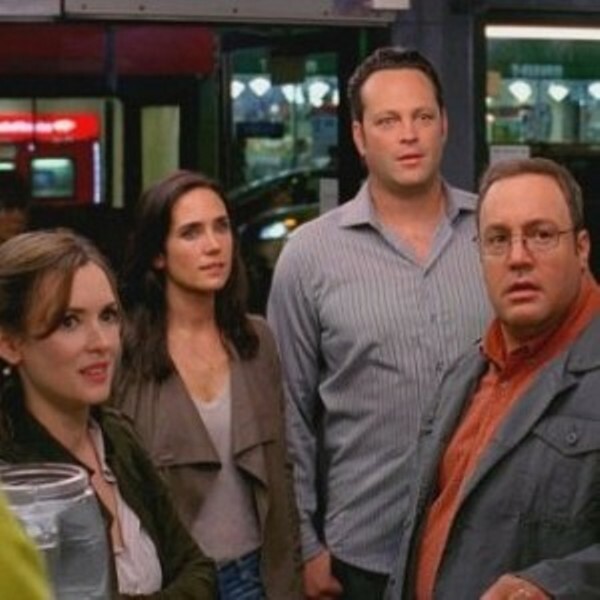 Vince Vaughn and Kevin James are best friends whose car-design company is on the verge of a breakthrough when Vaughn’s Ronnie catches his buddy’s wife (Winona Ryder) with another guy. Ronnie, his credibility compromised by his former gambling addiction, debates if, when and how to break the news, while at the same time mulling over a possible proposal to his girlfriend (Jennifer Connelly). Although the sheer volume of Vaughn’s verbal diarrhea produces a few laughs, long stretches go by without even an attempt at humour. The Dilemma’s not terrible, but it’s not terribly funny either.